The "new" Lodge Building, completed in 1858. Phoenix Masonic Temple survived the great fire of 1831, but by the late 1840s the building had fallen into such disrepair that it was deemed unsafe for use. 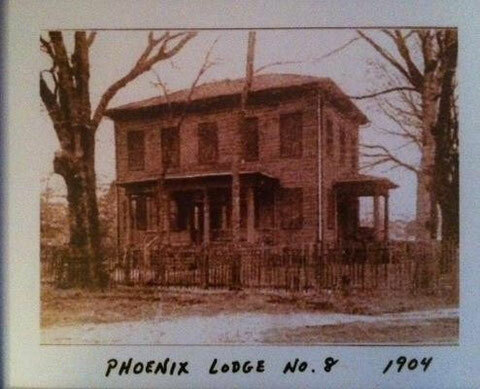 From about 1855 through 1858, the Lodge building was torn down and rebuilt on the original brick foundation. The new Lodge building was dedicated on 24 June 1858.